Dutch Banks Expand into Payments Wearables, HCE Wallets | NFC Times – Near Field Communication and all contactless technology. Big three Dutch bank ABN Amro plans to enable payments on passive wearables devices, including one from a major watchmaker. The contactless market in the Netherlands is growing, and banks are seeking to enable more mobile and digital payments. 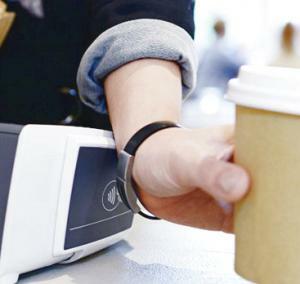 NFC TIMES Exclusive Insight – Dutch bank ABN Amro plans to put its Mastercard-branded debit cards onto passive wearable devices, such as rings, bracelets and an analog watch from a major watchmaker, after the devices are in the hands of consumers. Meanwhile, the last of the big three banks in the Netherlands, Rabobank, has finally given up on SIM-based NFC payments, converting its wallet to host card emulation. Rabobank, ABN Amro and the largest Dutch bank, ING, now have all rolled out NFC wallets using host card emulation, or HCE, on Android NFC phones. ABN Amro, which launched its NFC smartphone wallet in 2016, plans to go a step further, reportedly enabling rings, bracelets, key fobs and analog watches produced by wearables makers to be provisioned with its Mastercard debit cards, also known as Maestro cards. Article has about 1320 words.